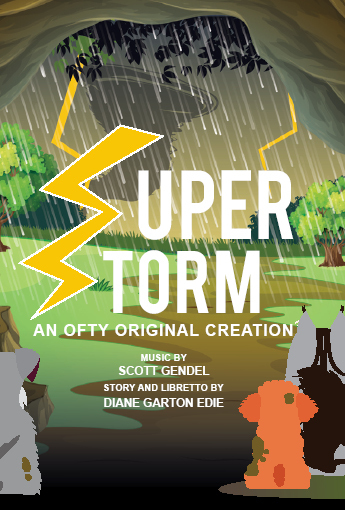 Join Madison Opera in partnership with Opera for the Young for a performance of Super Storm, a new opera commissioned by OFTY with music by Scott Gendel, Madison Opera’s principal coach and accompanist. Super Storm is a lively and engaging piece that demonstrates to young audiences that not all opera was written once upon a time, long ago. It tells of four very different vocalists who discover their unique strengths when caught in a cave during a storm of epic proportions. Students play abandoned cats and dogs hiding out in the same cave during the bad weather. This FREE staged performance at the Madison Opera Center is open to opera lovers of all ages. The performance lasts 45 minutes and will be followed by a talk-back with the creators and a reception.